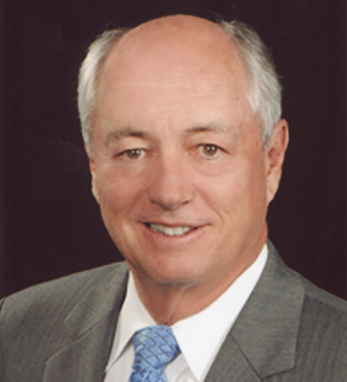 William J. Todd has been President and CEO of the Georgia Cancer Coalition since 2003. A strategic public-private initiative to move Georgia to the leading ranks of cancer care in the nation, the Coalition has invested more than $300 million supporting research and prevention efforts to reduce cancer deaths. Todd’s 39-year career has focused on healthcare and technology management in Atlanta, Georgia. He was the founding president of the Georgia Research Alliance in 1990, nurturing the independent not-for-profit organization that has helped build Georgia’s reputation as a center for discovery and invention and fostered major advances in science, medicine and technology. He founded Encina Technology Ventures in 2000. His career began at Emory University hospitals, clinics, and the medical school, where he held a variety of administrative posts over two decades, ultimately serving as Assistant Vice President for Medical Administration at the Robert W. Woodruff Health Sciences Center. A 1971 graduate of the College of Management at Georgia Institute of Technology, Todd attended the Institute for Educational Management at Harvard University. In 2000, he received an Honorary Doctor of Science degree from the University of Ulster in Northern Ireland. In 2010 he was awarded the Ivan Allen, Jr. Prize for Progress and Service by Georgia Tech. Todd is past Board Chairman of the Georgia Tech Alumni Association and a Board member of the Georgia Chamber of Commerce, the American Cancer Society, the Georgia Tech Foundation, and Georgia Tech Ireland. He is a past president of the Rotary Club of Atlanta and a member of the Commerce Club, and Druid Hills and East Lake Golf Clubs. A fourth generation Atlantan, he has been named one of the “100 Most Influential People in Georgia” by Georgia Trend for seven years. He and his wife, Elizabeth, have two sons, both Georgia Tech graduates. Hayes is senior project engineer with Holder Construction Company, and David is a supply chain engineer with Children’s Healthcare of Atlanta.